Please see the FLYER for information on this course. Please note, the college cannot guarantee the acceptability of specific coursework to fulfill the requirements of an application that bypasses the college and is processed by NYSED or BOCES through an individual evlauation/additional certificate pathway. The NYSTCE EAS/CST E-Voucher Application Cycle for 2018-2019 has closed. Applications are no longer being accepted. To be eligible to apply for an edTPA E-Voucher, candidates must have been enrolled in an educator preparation program seeking their first NYS Initial Certificate during the 2017-18 academic year or later, and have successfully completed all other certification requirements (EAS, CST, fingerprinting, Release Authorization form, TEACH application). If you think you are eligible to apply for an edTPA E-Voucher, or if you have questions about the eligibility requirements, please contact the Teacher Certification Office by phone: 716-878-6121. Please visit NYSED for the most up-to-date safety net information. If you have met all requirements for certification, except the use of one or more of the safety nets, and the certificate has not been issued, send an email to examsafetynet@nysed.gov , with your first and last name, the last four digits of your social security number, and date of birth, requesting that the safety net(s) be applied. Please visit NYSED and the edTPA Multiple Measures Review Process page for the most up-to-date edTPA Multiple Measures Review Process information. Visit NYSED for application instructions and information. Please visit NYSED for information on new requirements for verifying paid experience for professional certification. Download the Verification of Paid Experience Form. Please access NYSED and NYSED forms using Google Chrome or Firefox.  The Teacher Certification Office recommends Buffalo State graduates to the New York State Department of Education for teacher certification after they have completed an approved teacher preparation program. The Teacher Certification Office also verifies program completion for graduates applying for out-of-state certification and serves as a resource for a variety of teacher certification related topics.